You are currently browsing the category archive for the ‘Pokhara’ category. Official visit now and then keeps mind healthy. Sweet! After the bill verification visit of Lower Modi Hydropower Project at Parwat near Kusma, we returned to Pokhara and stayed there on Jan 07,2011. The next day we visited Sarankot. This was fist time for me at Sarankot. 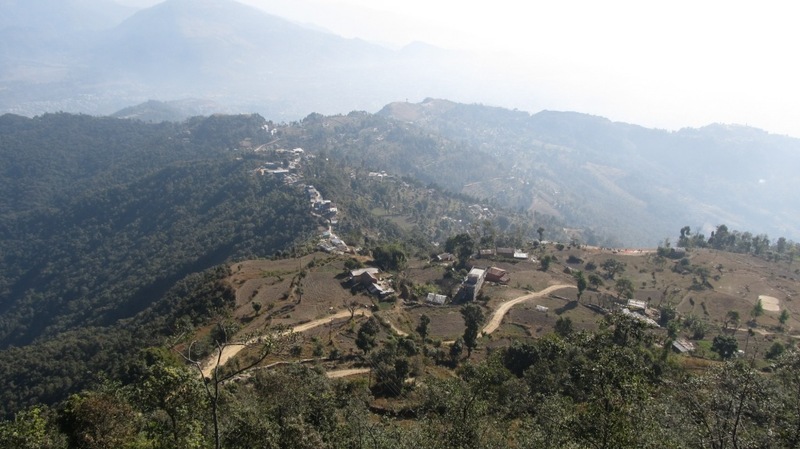 Sarankot is famous among tourist for its panoramic view of pokhara and Para-Gliding. We can view Annapurna range of Himalayas from here. A glimpse of Dhawalagiri at the southern end is also seen. See the hacked map of himals! A Rs.20 for 2.minutes binoulars with 20X zoom is available at the view tower if you want a close-up view of the mountains. And the ticket to the view tower is Rs.10 for Nepalis. 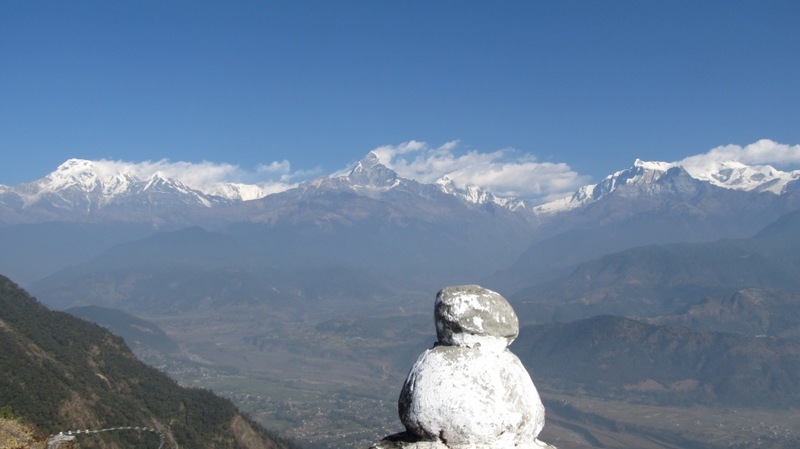 Annapurna Range with Machapuchhre at the mid. Smokey mountains..! 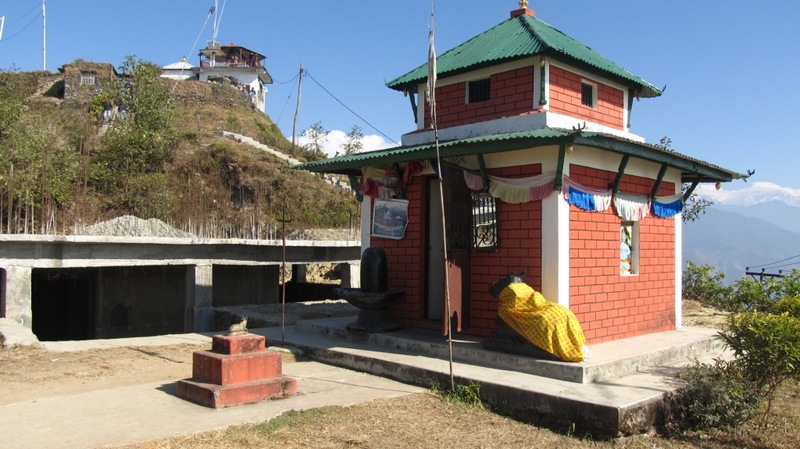 There is a small Shiva temple at the hill of sarankot. For tourist there are plenty of lodges and hotels to stay. A local bus also is available to reach this place. Shiva temple and Sarankot view tower. Rupa lake is the most exciting and magical lake in Pokhara. Little bit away from Pokhara towards Kathmandu Highway, its the perfect place to spend your time if you are a creature who likes to feel peace and pleasure of Nature. My terrified face in jungle of Rupa! I think God want me to visit every corner of this beautiful city of Pokhara. This was 3rd time in row within this year. On 29th April 2010 I had to go to this place again for some office works. However I had one extra day to spare so the obvious choice to visit was Rupa Lake as I had not been in this place before. 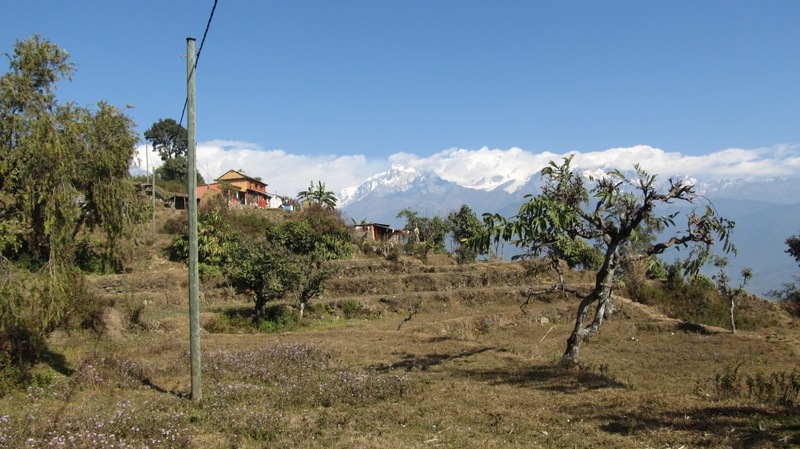 To reach Rupa lake you have to take bus from Pokhara (Prithvi Chowk) to Rupakot. Rupa lake lies at Rupa kot and you have to tell the conducter of the bus that you are going upto Khola ko Cheu ( It means near the river bank). The bus fair was NRs 35 and there are really few buses (only 3) in a single day. I had planned to cross the Rupa Lake and return from Begnas Lake. These two lakes are separeted by a common ridge of the hill. 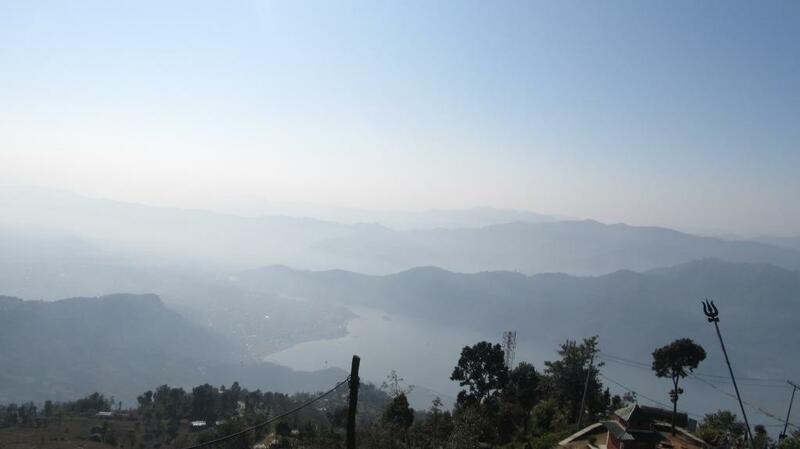 Its said that these two lakes are like eyes of Pokhara. These two lakes can be viewed similtaneously from the rigde top. After getting out of the bus, I began by following the motor road and then foot trail but after walking for 2 hours I realized that I was lost! I couldn’t figure out the end of this lake. Further, there was no one with me and sun was also near the western horizon so I felt little terified. So I decided to return back. I hope if I need to go Pokhara for the fourth time this mission will be accomplished with success. The return trip from Rupakot to Pokhara was not less adventerous than the Rupa trek because there was no local bus available (it was too late) and had to reach the highway to catch bus. Anyhow I reached the highway after crossing a beautiful river section ( which looked like glacier) and some wonderful scene.I reccomend to go to this lake in bicyle and travel all around the contry side. Some other photographs are below. One of the beautiful doll is daugher of Sarita. I had stayed at her house for that day. Thanks to her!